Anoop Prakash is the head of Harley-Davidson Canada. In part 1, we talked about the company’s move to take control of the Canadian distribution network, price drops and the threat of rivals. We chatted for close to an hour and pushed the conversation into what lies ahead for the Motor Company as a whole. One thing that perplexes me about Harley-Davidson is where it finds its customers. Yes, the baby boomers still come to the company in hordes, but now they’re starting to age out of their two-wheeled years, so I asked Prakash who is the next H-D customer. He was upbeat, of course, and said that Harley-Davidson is the most popular large motorcycle for young adults in many global markets. I don’t have the stats to challenge that, so I brought it back to more familiar territory: Canada. More specifically, who is the company’s new target audience here? 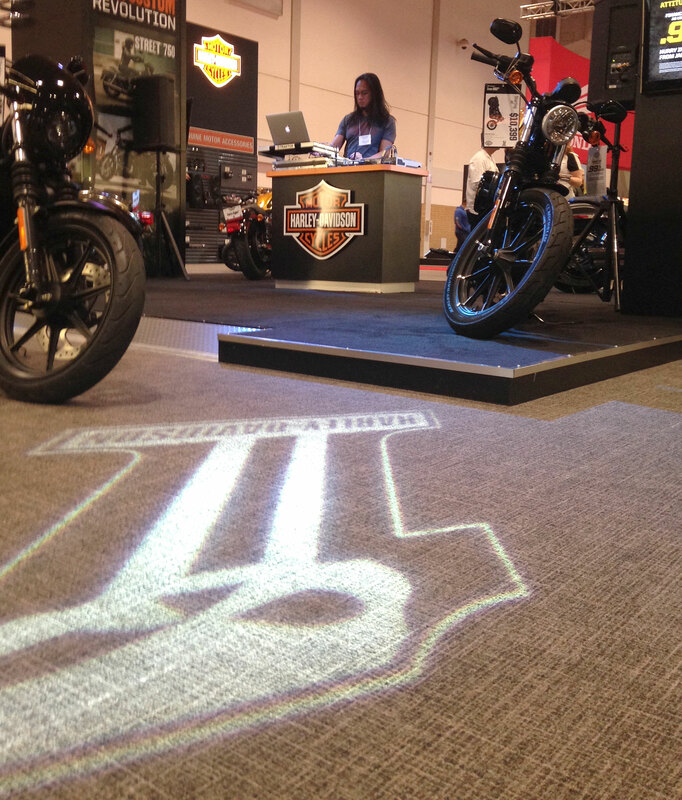 At the Toronto booth, H-D had a DJ to tout its young credentials. The omnipresent #1 light graphic swirling around the floor may about to be challenged. “In Canada we have a great opportunity with young adults, with women, with new Canadians, (particularly) south Asian and Chinese,” he said. Okay, that makes sense. He stressed Harley-Davidson is looking at the Canadian market as something brand-new, letting it reconsider the brand and reposition it to new market segments. This raises the two newest developments at Harley: the Street series, and the electrically-powered Livewire concept. 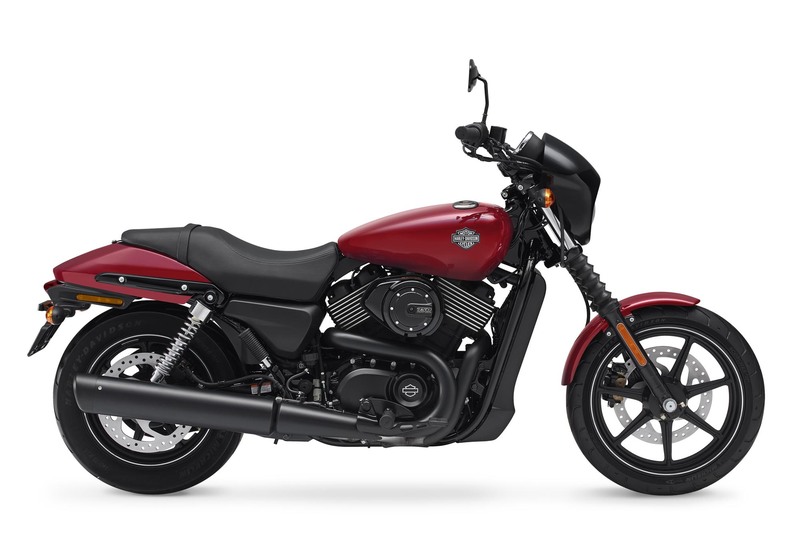 The comparatively small Street motorcycles are the first all-new models in 13 years, after the V-Rod, and they’re Harley’s answer to a budget entry-level bike (the 500 retails for $8,149 and 750 for $8,999). Prakash said they’re the result of extensive interviews with young motorcycle riders, asking what they really wanted in a Harley. The answers? Liquid-cooling, good ground clearance, a light frame for nimble handling, faster acceleration from a stop, and … dark styling. Is this what the kids want? That seems a schizophrenic set of results but Prakash sounded confident. He said the Street is the most successful new platform out of the gates of anything Harley has ever launched, anywhere. I found this to be a remarkable claim. I don’t have the global stats for Street sales but I do live and ride in Canada and I don’t see the Street on the streets, so to speak. Prakash explained this with a shrug, however: The new Street was released when Deeley Harley-Davidson was still distributing all the company’s bikes in Canada, and promotion of the new series was Deeley’s responsibility. Deeley passed on that responsibility to the dealers, which he considers was unfair to both the dealers and the platform. If the Street is Harley’s answer to the current shifting demographics, what about looking further ahead? This is where the Livewire comes in. It was a bike that arrived from left field. No-one expected Harley-Davidson to even consider an electric motorcycle, never mind be one of the initiators of the technology onto two wheels. The bike first popped up in 2014. Officially, it was a prototype, but it was obviously road-ready, appearing soon after in magazine test reports. It was shipped around the States and then the world for public viewings and feedback. It caused a stir, but in 2016 you still can’t visit your local Harley dealer and buy one. 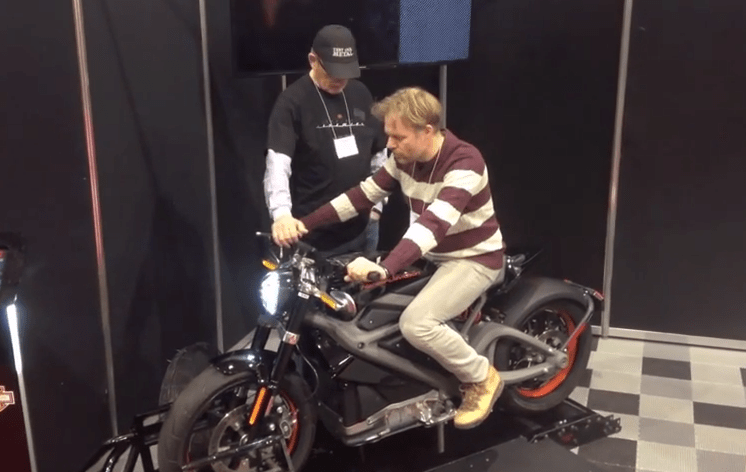 CMG’s Michael Uhlarik tried the Livewire at the 2015 Moncton show and was suitably impressed. Prakash framed the project as being more in the consultation stage than something ready for production. “Our CEO has been clear (that) we’re going to do it right, we’re going to do it our way,” he said. “We don’t feel that it is prime time yet for us to come out because we’re still getting the right technology and the right pricing, the right range and things are evolving very fast and when we launch it we want it to be right. This is a huge upfront investment. (It’s) unprecedented for any motorcycle brand to come out that early with something that innovative and revolutionary”. By the end of our conservation, I noticed our 30 scheduled minutes had hit the hour. I’m impressed with his openness and willingness to spend the time to answer my questions. Deeley had a reputation of being aloof and uncooperative with the Canadian media, but that seems to be changing with Harley’s new Canadian management. 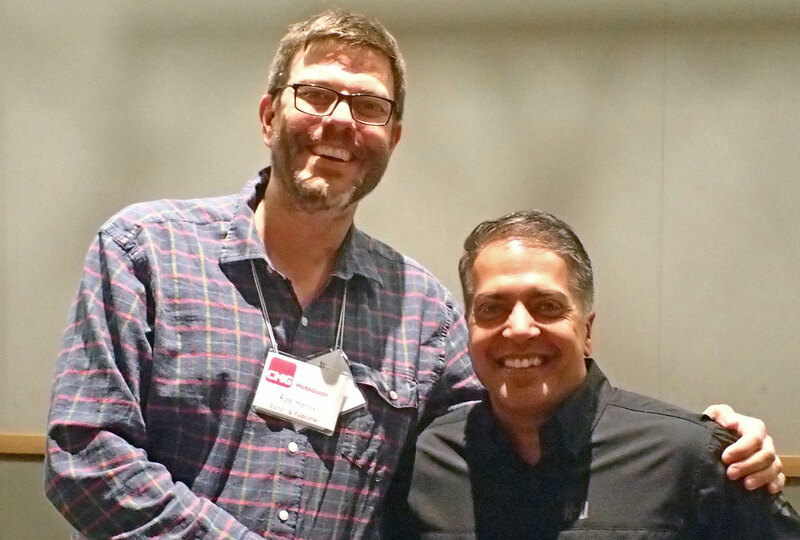 Anoop Prakash may not be the tallest man (especially next to the lanky Editor ‘Arris) but he’s proving to be a big influence at Harley-Davidson. Anoop Prakash is a sharp cookie and is obviously a high flyer within The Motor Company. We’ve seen price drops and renewed commitment to the market as a result. Whether this is enough to stave off a hungry and aggressive new Indian Motorcycle Company, and whether the Street truly can be sold here, both remain to be seen, but it seems the Great White North is being treated a lot more seriously now. “Canada is new to us,” said Prakash before we parted. “I’m setting up the company again. I’m borrowing very heavily from (my) experience on how to connect the dots between HQ and customer, and make sure everything is being supported … and to deliver that famous Harley-Davidson experience”. What he probably meant was that they haven’t figured out how to maximize accessory sales. Handlebar tassel and saddlebag fringe development haven’t caught up to the electric technology yet and the t-shirt & tattoo r & d team doesn’t even know where to start. As for TK’s question above, the easiest way to change the culture of a company is to get rid of everybody who represents, espouses or clings-to the “old way”. Very few of us are irreplaceable or have skills or abilities that can’t be brought in or developed. I think he’s on the right track and really could expand HD beyond it’s old & grey customer base without changing the product. The bikes are competent performers though not to everyone’s taste but certainly to enough people and addressing the pricing as he has will make them a bit more accessible. I think they could gain a few more customers by making the bikes a bit lighter as I have always thought they are heavier than they need to/should be. It makes me wonder why they gassed virtually every Deeley’s employee that wasn’t bilingual. Why didn’t they keep the experienced players in the game with new corporate direction ? And how are they planning to replace them (if at all) ? Is HD Canada ultimately just a regional office ? I know, so many questions….